1. What is the purpose of classification? The primary objective of position classification is to analyze an employee’s current duties and responsibilities, the qualifications and requirements necessary to perform these duties, so as to allocate the employee’s position to the proper classification. Accurate position classification is vital as it reflects the alignment of organizational goals into specific positions and also impacts other elements of the human resource system to include salary range determination, recruitment and selection, development of performance plans, and ultimately employee compensation. 2. What is the difference between Job and Position? The ability to identify essential functions for reasonable accommodations. 3. What information is used to determine the classification of a Position? Information relative to the employee’s length of service, time spent at the maximum salary level of the position or the quality of performance is not considered in determining the appropriate classification of a position. 4. How is information about my Position gathered? A human resource professional will need to gather information from personnel records and the employee’s supervisor to include a current job description, position description/DPR performance plan, organization chart, and/or information about new duties and tasks that have been assigned. In order to help provide this information to Human Resources, the supervisor, under the assistance and guidance of the HR professional, will be asked to complete a CRR-3 (Classification Review Request (current incumbent) form. If after reviewing the completed CRR-3 form the HR professional determines that there is sufficient justification to conduct a formal classification review, the incumbent may be asked by his/her supervisor to complete a PAF (Position Analysis Form). The HR professional may also conduct a fact finding interview to gather current facts, answer additional questions, and provide further clarification. During the interview process, a series of questions pertaining to the information provided by the supervisor, and outlined in the completed CRR-3 and/or PAF and any changes relative to the position duties and responsibilities are discussed. The HR professional may interview the employee and his/her supervisor, and/or other managers to obtain and clarify information about the duties and responsibilities of the position. The quality and quantity of work, however, will not be reviewed; quality and quantity are related to performance, not classification. While classification reviews often reveal that positions are properly classified, incumbents may be re-classified to a lower level or higher level position that better fits the duties and responsibilities being performed. 5. When is it appropriate to request a classification review of my Position? What do I need to do to have my Position reviewed? Organizations are constantly changing, due to new programs, procedures and technologies; therefore, the duties and responsibilities of particular positions can be affected. A request for a classification review is initiated by the employee’s supervisor or upper management when the duties and responsibilities of the position have changed significantly and/or evolved over time to the point of performing duties that require a different skill set, level of complexity, knowledge, and/or scope of work. The supervisor reviews all employee requests and determines whether or not the request will be forwarded to the Human Resource Field Office for a preliminary review. The review may include comparing this position with other similar positions to determine equity within an agency and across agency lines. 6. How can I prepare for a classification review of my Position? Does your present job/position description accurately reflect the duties and responsibilities being performed? What type of assignments have you been given and completed- in the last year? What major duties are being performed (those that take the most time) on the job? Can you determine rough percentages of time for the major categories of work you are performing? What accountability and/or responsibility do you have? What written guidelines do you use? How does your supervisor review work you have completed? Emphasize the major areas of work and how the job duties and responsibilities fit into the program’s operations. Do not understate the duties or responsibilities, but do not exaggerate them. Make sure that at the completion of the review, the HR professional has a good understanding of your position. It may be helpful to make some notes before the interview, or to outline what you would like to share with the interviewer. Having samples of work at hand is very useful. 7. What if I do not agree with the classification decision made on my Position? The grievance form and further information may be obtained from the Human Resource Field Office or the Employee Gateway. 8. How is my classification and pay determined? A job classification is determined by a process called job analysis. Job descriptions are reviewed by classification professionals in Human Resources who assign and approve classification titles. A pay range is assigned to each job title by DHRM. An individual’s pay and movement within a salary range is determined by many factors such as the agency’s or department’s budget, legislative pay increases, and other factors. 9. How are classification and salary range determination related? Classification is the process of determining the right fit for an employee in regards to job title and duties that are being performed. Salary range is determined by salary surveys that compare these duties with similar duties in the local market or western states market. These surveys are conducted annually by DHRM who makes recommendations to the Governor and Legislature for increases in salary ranges to state jobs. 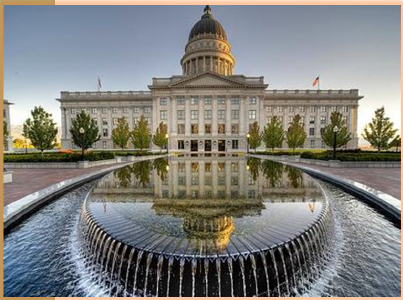 If approved by the Governor and Legislature, these increases occur at the beginning of the fiscal year and are known as Market Comparability Adjustments. 10. Will I be reclassified if I pick up new work from a vacant position? The answer to this question depends on where the work came from and the level of work being performed. If the duties from a vacant position are equal in level to the duties that an employee is currently performing, then the current classification will remain the same; however, if the new duties require a different level of knowledge, complexity, and scope of work, then a reclassification may be warranted. 11. What do I need to do to have the position(s) in my office reviewed? The supervisor and or management will be aware of any changes to an employee’s job duties and responsibilities affecting an employee’s position functions. The supervisor needs to work with their assigned HR professional by completing the CRR-3 form, etc. and forwarding all information to their HR Field Office. An HR Field Office professional then requests any further information needed in order to conduct further review and make an accurate determination as to whether or not a formal review is warranted. 12. Where can the supervisor obtain the CRR-3 (Classification Review Request) form? The CRR-3 (Classification Review Request) form is available from your Human Resource Field Office. 13. Where do I get a PAF (Position Analysis Form)? If a PAF (Position Analysis Form) is requested, it will be provided to you by your HR Field Office professional or supervisor. 14. Where can I get a copy of the Classification section of the DHRM Rules? The DHRM Rules are available on the Employee Gateway.